The garden will be closed December 24, 2018-January 1, 2019. We will reopen on January 2, 2019 at 10 am. Registration: Online registration is closed. Walk-ins welcome. One of the craft tools that a writer must deploy in writing fiction, creative non-fiction, and poetry is using verbs as images of movement. What a reader "sees" in a story’s movement, pacing, and plot, are determined by verb choices the author makes. LeAnne Howe’s craft lecture and exercises are meant to build on a writers' instincts of shifting the camera-eye by choosing verbs that enhance the narrative. She will discuss deceased white male writers, and living Native women writers and their approaches to using verbs as images. In addition, the workshop will offer writing exercises to improve verb usage. LeAnne Howe (Choctaw Nation of Oklahoma) is a poet, fiction writer, playwright, and filmmaker. Her most recent book, Choctalking on Other Realities, won the inaugural 2014 MLA Prize for Studies in Native American Literatures, Cultures, and Languages, and her next work, Savage Conversations, is forthcoming in 2019 from Coffee House Press. 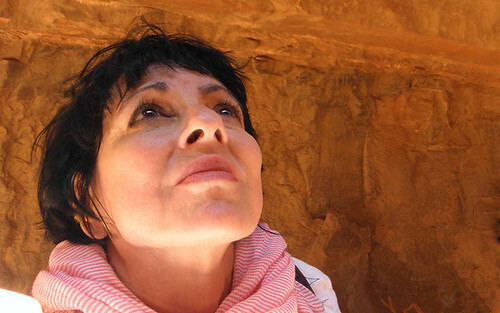 The recipient of a United States Artists Ford Fellowship and a Lifetime Achievement Award from the Native Writers’ Circle of the Americas, Howe also received the 2015 Western Literature Association Distinguished Achievement Award. She is the Eidson Distinguished Professor in American Literature in English at the University of Georgia, Athens. The 40 acres that house the Lynden collection of monumental outdoor sculpture are also home to many birds, insects, frogs, mammals and plants. Naturalist Naomi Cobb offers programs for the very young and their parents or caregivers that explore a different theme each month, taking into account the changing seasons. We limit the size of the group for these programs; therefore payments are non-refundable. We understand that naps and illness can interfere with attendance, so if you contact us prior to 10 am on the morning of your scheduled session (you can leave a message at 414-446-8794), we will transfer your payment to another session, enrollment permitting. Member: $8/one adult and one child. Additional children are $4. Non-member: $10/one adult and one child. Additional children are $4. Additional adults pay daily admission. 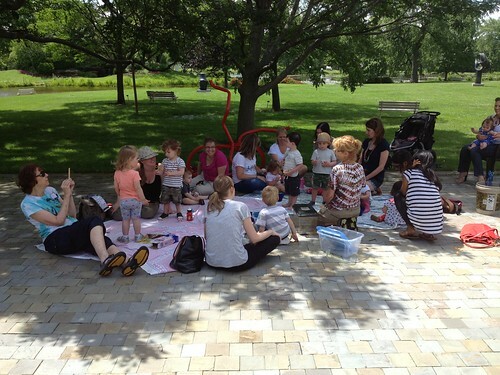 Tuesdays in the Garden is designed for parents and children from birth through age 5, and provides an opportunity for those with very small children to engage in outdoor play and the manipulation of art materials. Please dress for outdoor play; rain or shine we will spend part of our time out in the garden. February 12 - Exploring Shapes - Registration is closed. March 12 - Signs of Spring - Registration is closed. Free to members or with admission to the sculpture garden. Drop in anytime between 2 and 4 pm. 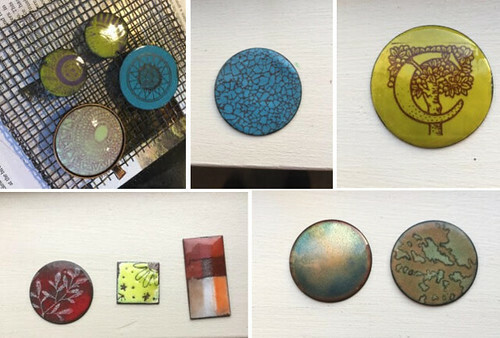 Stop by this drop-in workshop and participate in the studio’s ongoing project inspired by the Artist Trading Cards movement. Create your own trading card with an emphasis on self-love affirmations. How does positive self-affirming language feel in the New Year? Does it align with your resolutions? 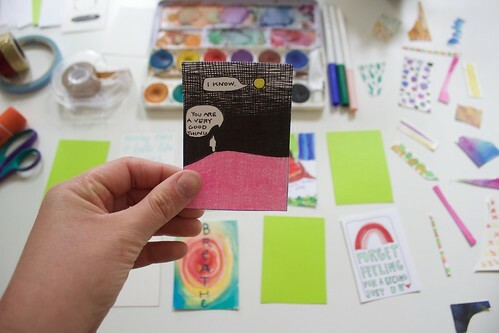 Create a work of art on a small scale with a self-affirming message for a stranger--then leave yours in exchange for someone else's. Make one to take one! Start a collection for your bulletin board or bathroom mirror and surround yourself with messages of worthiness and love. Drop-in to make one or stay the whole two hours to build up a collection. The Self Care Studio is a platform that illuminates the practice of self-care techniques through a variety of mediums. The studio’s online presence shares daily positive reminders in our social media-driven culture. By posting illustrations and texts the studio aims to promote self-kindness in times of healing, radical self-forgiveness, and prioritizing ourselves with mantras such as “self-care is not selfish.” The Self Care Studio also exists in the physical world as a pop-up shop. It sells self-care merchandise and facilitates workshops that provide a variety of hands-on sensory projects that encourage us to carve out time for ourselves by slowing down in the present moment. The Self Care Studio is a project of artist, author, and activist Jenna Knapp. Online registration is closed. Register by phone at 414-446-8481. Collecting is all around us at Lynden: the monumental sculptures and many of the trees, for example, were collected and brought here. 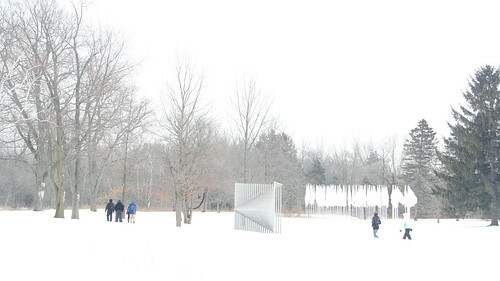 Each time we encounter the sculpture garden we collect observations, insights—sometimes objects--and memories. Collecting can be a method of inquiry and a creative process. 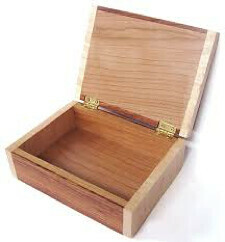 We will examine the purpose of collecting, explore collecting techniques and methods, and build wooden boxes to house our personal collections. For more information on Homeschool Days, click here. 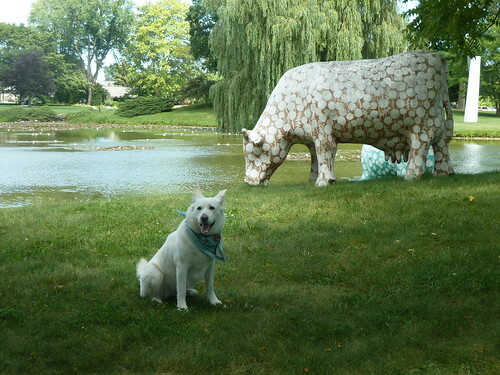 Free to members and dogs, or with admission to the sculpture garden. Bring your canine friends for an afternoon of romping in the garden. In the winter, cross-country skiers and snowshoers also welcome, and in the warmer months, we encourage picnicking. Fee: Free to members or with admission to the sculpture garden. Registration: The lantern-making workshop is now full; however you are still welcome to bring your own lantern and join Naomi Cobb for the lantern walk, beginning at 5 pm. 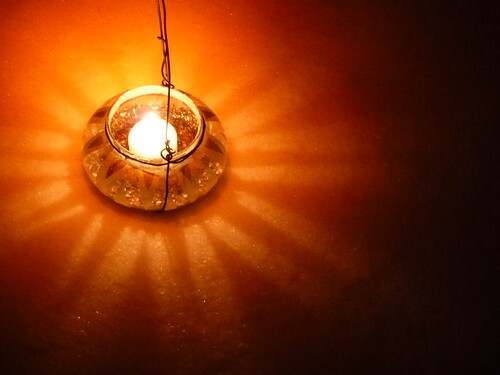 What better way to experience Lynden in the winter than by lantern light? Join Jeremy Stepien in the art studio beginning at 3 pm for this popular annual family workshop to make a lantern (or bring your own). Visitors of all ages can enjoy designing and decorating lanterns made from recycled jars and tea light candles. Embellishments include tissue paper collage, punched-tin lids, and reeds and wires (for handles). Make your own or work together to create a lantern for your group. At 5 pm we embark on a lantern-lit walk through the garden, led by naturalist Naomi Cobb. She will guide you safely through Lynden's back acres, introducing you to the mysteries and unique features of outdoor life after dark. We'll end with a bonfire and hot cider. The garden will open at 10 am as usual; the walk will begin at 5 pm. We are offering a special, extended drop-in session for those off school. Drop into our studio for informal art exploration. Come for 30 minutes or stay for 5 hours; bring a friend or sibling or try it on your own. No advance registration required. Register online or by phone at 414-446-8794. For more information on Weekly Art Drop-In, click here. Fee: Free to members or with admission to the sculpture garden. Prices for nonmembers: $9 general admission and $7 students & seniors. Kids under 6 are free. Family passes for nonmembers will be available at the door for $20. Our 9th annual Winter Carnival features artist projects, games, drop-in studio activities, and surprises orchestrated by Joe Acri. 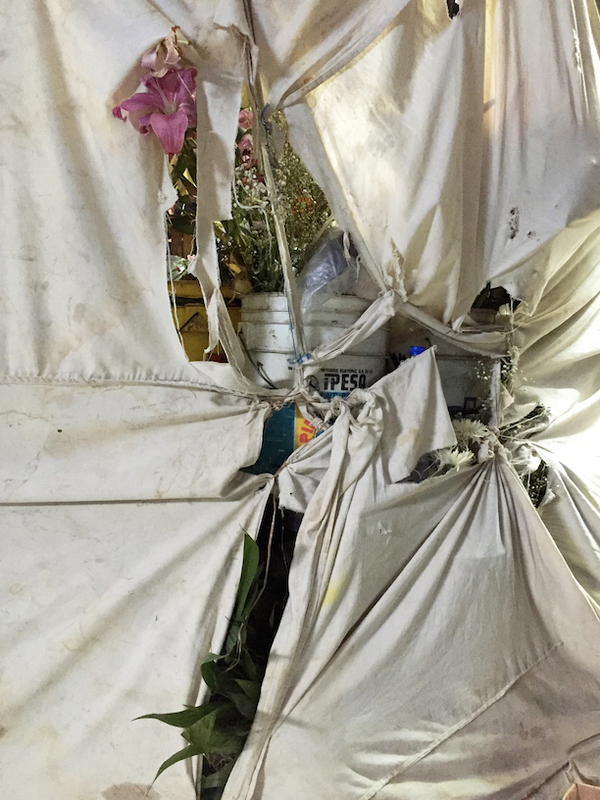 Watch for a large-scale sculpture-and-performance project from guest artist Jordan Rosenow, plus a Quinzhee constructed by land manager Kyle Welna. Our highly participatory, artist-driven carnival offers something for everybody. This year's Winter Carnival is sponsored by Davey Tree Expert. Check back: we're still updating the schedule! students in Kim Miller's Collaboration & New Genre class at MIAD, will be repeated at 12 pm, 1:30 pm, and 3 pm. Winter costumes designed for the performers by Katrina Matejcik to complement the bright grid. Artist Jenna Knapp launches her residency project, Labyrinth Society of Lynden Sculpture Garden, with images, sketches, and plans. 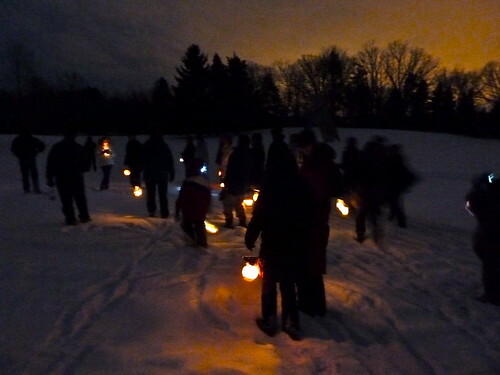 Become a founding member of the LSLSG, sign up for a work day, attend a Society meeting, and--weather permitting--build an ephemeral labyrinth in the snow. The planning and practice of mehndi builds sisterhood/community and encourages self-expression. Kim Khaira begins her Lynden residency, Pulang Balik (“I Am Going Home Too”) by joining Rohingya refugee leader Hasinah Begum to showcase the art and appreciation of henna in the South/Southeast Asian community and beyond. Stop by their booth to learn more about henna and to have your hand decorated. Special thanks for the guidance of filmmaker (and Lynden board member) Laj Waghray. Design your own winter-themed image and make it into a button to celebrate the season. Examples of Lynden's Wildlife will be on display and a challenge to find evidence of their existence on our grounds. Super nature detectives win prizes. Snowflake catchers and hand lens also available if there is snow. Can you recognize what animal it was that made those tracks outside in the snow? A print-making project will help you recognize Lynden's native creatures and use their tracks as inspiration. On the first of two visits to Lynden, Open Kitchen, an experimental food studio and residency, will serve Bolillos de Mole (cacao-mole bun) and Wisconsin Wild Rice Horchata, with notes on fictional motives, motifs, and motion, by Maria Quintero and ADO. Open Kitchen (Rudy Medina and Alyx Christensen) is located in Riverwest. Maria Quintero is a self-taught artist located in Chicago’s Pilsen neighborhood. When not working as a hairdresser, Maria sketches out of idleness and boredom. ADO is a collective author that focuses on semi-fictional research for the understanding of socio-cultural abstractions. ADO is the founder of ASAP (Association-Appropriation-Abbreviation), an alchemistic application for critically engaging issues of alienhood and livelihoods. Current land manager Kyle Welna and former land manager Bob Retko lead a walk around the grounds showcasing the variety of trees at Lynden. Meet on the patio. Warm up in the art studio and make candles the old-fashioned way, by dipping a string in wax. This activity is designed as a drop-in and is open to all ages (young children may need parental assistance). Meet on the patio to take a guided walk to the back acres of Lynden. We will investigate the habitats that are home to our non-human neighbors. Binoculars and hand lens will be offered to expand our vision. Registration: Space is limited. Advance registration required. Register by phone at 414-446-8794. Now, in the depths of winter, is the time to start thinking about your vegetable garden. Claire Hitchcock Tilton will teach you how to choose plants for continuous harvest from spring to late fall. 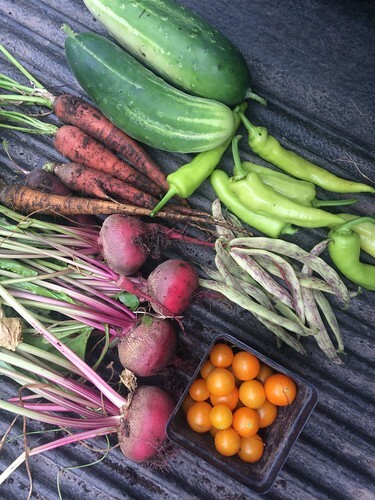 Topics include choosing plants for your specific site, care requirements for different plants, companion planting (pairing plants that work together for mutual benefit), plant rotation, and seed collection. You will develop a master plan for your garden that includes a list of what to plant and when, and you will be ready to place your seed orders with confidence. Bring your seed catalogues, questions, and ideas. Claire Hitchcock Tilton has worked on organic vegetable farms large and small and in urban gardens in Milwaukee and New Orleans. She ran her own production business for grocery stores and restaurants, and eats the eggs, vegetables, and herbs from her backyard garden year-round. Until recently the land manager at the Lynden Sculpture Garden, she is now a graduate student in architecture at UWM.